If you are sincerely looking for a business that you can call your own—with a strong support system in place to get you started strong and to keep you on track, then we'd like to speak with you about opening a Johnnie's in your area. Our Fully Self-Contained Mobile Kiosk Solution, 100 to 300 square feet, is designed in such a way it will never be forgotten. It offers the style and selection of the Johnnie's Dog House™ brand, capable of satisfying large crowds anywhere, certified for indoor use, and is built with a ruggedness and utility. We use all NSF rated parts and materials that will keep it looking great and attracting customers and profits for decades. Our Fast Casual Restaurant, 1000 to 1500 square feet, offers a welcoming entrance, nostalgic décor, and vintage photographs from different generations. Your Johnnie's location will attract customers from all walks of life. You'll also appeal to the "grab and go" customer as well as families who want to spend time enjoying a good meal followed up with a great desert treat. 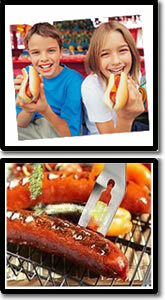 Your customers will also come to you when they need a unique catering experience. 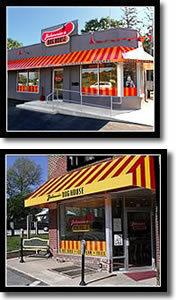 Our food, coupled with a comfortable-nostalgic atmosphere has made Johnnie's Dog House a destination restaurant for friends and families of all ages. Our brand fits with every demographic profile; Men, Women; Families with Children, Children of All Ages, Students, Blue and White Collar Workers, and Senior citizens. Who doesn't enjoy a quality hot dog? 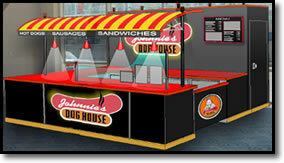 Click on Request Information button above for FREE information on how to start a Johnnies Dog House franchise today! 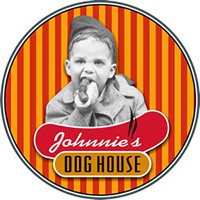 Please Note: Johnnies Dog House franchises for sale, and other franchise opportunities, business opportunities, businesses and franchises for sale on this web site are not to be considered as an "offering", "franchise offering", suggestion or recommendation by GlobalBX. The franchises, businesses and business brokers seen on this web site submit their own individual content. This advertisement depends entirely on the truthfulness of the information provided by our advertisers which includes, but is not limited to, franchisers, franchises, franchise brokers, franchise consultants, business sellers and business brokers. As always, GlobalBX recommends that you consult a lawyer, financial consultant, accountant or professional advisor before buying a franchise or business opportunity or any type of business. By submitting this form and requesting more information, you have agreed to all terms and policies of GlobalBX and the business and franchise offerings listed here. Please review our Terms & Conditions for more information.